For seven of its eight episodes, the first season of True Detective was some of the best television I have seen to date. I prefer to forget the final episode because it was so shithouse, but that’s another story. 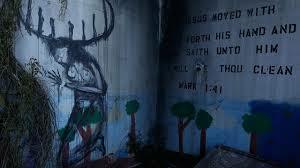 The series really hits its straps at the end of episode 3 with Rustin Cohle’s monologue, visible here. The show has the three features present in all ‘great’ films and t.v. shows; first-rate director, lead actor and screenplay. In addition, True Detective generates an electric sense of place through its lush but creepy Southern Gothic setting, beautifully shot by cinematographer Adam Arkapaw. Woody Harrelson is fabulous as Marty Hart but firmly driven into the second-banana spot by the one-two knockout of Rustin Cohle, both in McConaughey’s performance and the way it acts as a conduit for Nick Pizzolato’s writing at its intellectual, esoteric best. 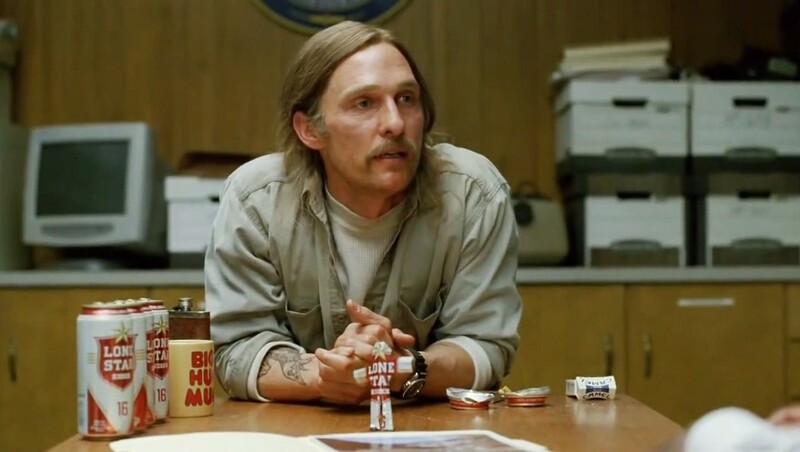 Cohle’s monologues to camera reminded me of a figure in literature that I’d seen pop up in all sorts of places, but never really been ready to lock horns with before. The two places I’d seen him are the Marquis De Sade’s Dialogue Between a Priest and a Dying Man and Cormac McCarthy’s The Crossing. In both instances he appears on his deathbed in conversation with a priest, who comes to ease him through his transition from this world into the next. Interestingly, while you can still successfully invoke a satanic cult, priests are no longer remotely credible characters. Perhaps the homicide detective is the modern equivalent. In De Sade’s version, the priest is relieved to abdicate his faith and becomes a willing participant in his charges’ last debauch, while the priest of The Crossing is left a shell of his former self, haunting his ruined church like a ghost in the company of a herd of cats. True Detective writer Nick Pizzolato cites a broad range of influences, but the two obvious ones are nineties serial killer classics Silence of the Lambs and Seven. The strange, ceremonially dressed corpses of the victims harken back to Lambs, but Hannibal Lecter is nowhere in sight. Lecter is a perverse superman; super-intelligent, preying on us because he is the superior being in an evolutionary sense. A bogey-man for grown-ups. 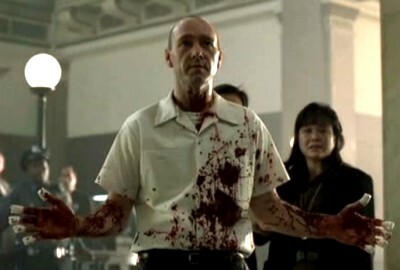 John Doe from Seven, simultaneously no man and everyman, is much more sinister. When explaining his ‘masterpiece’ in the back of the patrol car on the way to his last two victim’s bodies, Doe explains himself by way of a rationale clearly nurtured by the nameless modern city that spawned it. Doe manages to be sympathetic, and by doing so, effectively gets inside your head. Rustin Cohle attempts to pull you inside his head, along with the two homicide detectives that interview him. In fact, their presence registers most strongly through their bemused, silent detachment; they have their own beliefs and opinions about Cohle and his ideas. They also know there is a world outside that interview room, but because we have tuned in, we are trapped inside the locked room of being Rustin Cohle. Personally, I have some experience of crime-scene photos; I was once shown five or so sets of them by a homicide detective I used to know. There were separate sets featuring a woman, a couple of men and even a child. I looked through as much as I could stand and then put the last book down very gently. When I stood up, I felt dizzy and weightless, like when you put your head down between your legs and stand up very suddenly. 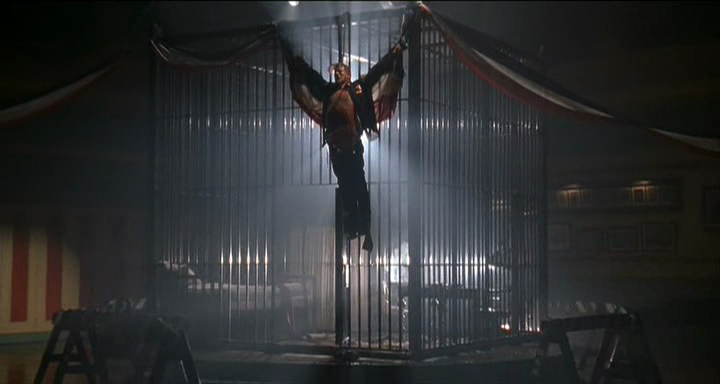 One of the sets chronicled the ‘story’ of a man who had been beaten to death with a wine bottle because he refused to surrender his leather jacket when mugged by friends in his home. His expression – the same as the expressions on the others I saw – was not beatific and saint-like, as in the photocopied images that Rustin scours as research. His head had been beaten into a weird shape, like a deflated soccer ball. The electricity that kept him animated was gone and his features were slack and distorted, as if the whole face was slowly sliding in different directions off the front of the head. It wasn’t peaceful. To me, it was ugly and deranged. Kafka’s The Trial is the ultimate locked room. The narrative voice, or storyteller’s third person which is the conduit for the action, fabricates the world entire. It controls the weather and erects the walls. It builds the maze. All these figures are devil’s advocates and their logic is like an acid bath. They are leaning on you. Testing you with their nihilism. As the priest (again!) says to K at the end of The Trial; ‘it doesn’t matter if it’s true. What matters is that you accept it is necessary’. I think your attitude to this figure and his ‘truth’ is personal, and you choose it. But for some reason, I trust him. Not because he is telling the truth, but because if he falls out of earshot, something will be desperately wrong. This entry was posted on April 22, 2014 at 7:31 am and is filed under Observation, Pretensions toward cultural theory, Reading, Real Men. You can follow any responses to this entry through the RSS 2.0 feed. You can leave a response, or trackback from your own site.